Um, don't you have to actually debate before you can win? Not when you're the "Straight Talk Express". 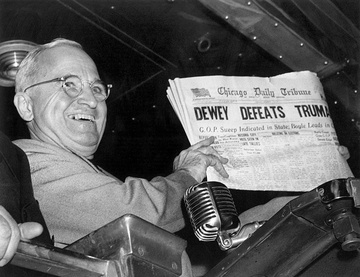 After all, Dewey did defeat Truman, didn't he? Update: It was The Wall Street Journal with the ad, not The Washington Post.